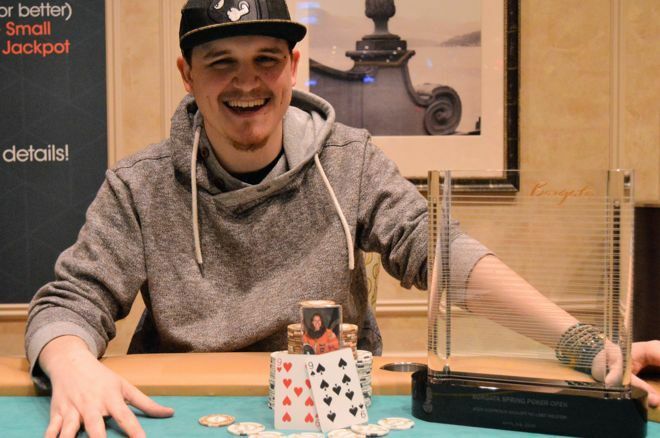 Alex Rocha managed to win a title at Borgata for the second time by winning a massive multi-flight reentry event called Event #1: $600 Deep Stack Reentry. The number of entries in this event was massive, reaching a total of 2,199. However, Rocha managed to face George Grabe in the heads-up play with whom he struck a deal after which he proceeded to defeat him and win the first prize. Rocha managed to win a total of $180,610 and Grabe had to settle for $150,000. As previously mentioned, this was not the first time that Rocha had an opportunity to win a title at Borgata, as he managed to win another one eight years ago, back in 2011. He had a similar success back then, as he topped a field of 1,472 and managed to win $150,850. The guaranteed prize was $1 million up for grabs, but the number of entries managed to surpass that number, creating a prize pool of $1.15 million. Some of the players that managed to enter the money list but failed to make it to the final table include Vinny Pahuja, Greg Himmelbrand, Aaron Mermelstein, Dan DiZenzo, and Victor Ramdin. On the other hand, Rocha had a big stack on the second day and he managed to carry it into the third day. That turned out to be beneficial for him as he managed to eventually win the event. The final table consisted of ten players, and the first one out was Ryan Barnhard in tenth place, who managed to win $13,246. He was soon followed by Gary Gelman, who settled for $20,157, and Mike Miller who won $27,644. Mikhaile Richards ended up in seventh place, winning a total of $38,011, and Dominick Sannino soon followed him in sixth place with $48,953. The fifth place was reserved for Paul Vacchio, who won $60,471, and an anonymous person won $72,566 in fourth place. Finally, Yan Wang ended up third for $85,236, leaving George Grabe and Alex Rocha to fight for first place in the heads up battle. The last part of the event lasted for a long time as Rocha constantly grabbed the lead, and Grabe drew him back to a tie every time. At one point, both players looked tired and they decided to make a deal. After they split the money, they continued playing with less pressure. At one point, when there were only 70 blinds on the table, Grabe went all in with an Ace and a two, but Alex Rocha had pocket nines, eventually winning the tournament. This was just the first event in the series of events played in Borgata, so make sure to check others as well, since there will be a lot of high-quality poker on the table.